car news ok: First drive of Ken Okuyama's K.O 7! 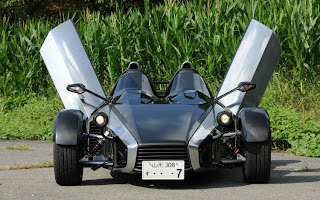 First drive of Ken Okuyama's K.O 7! 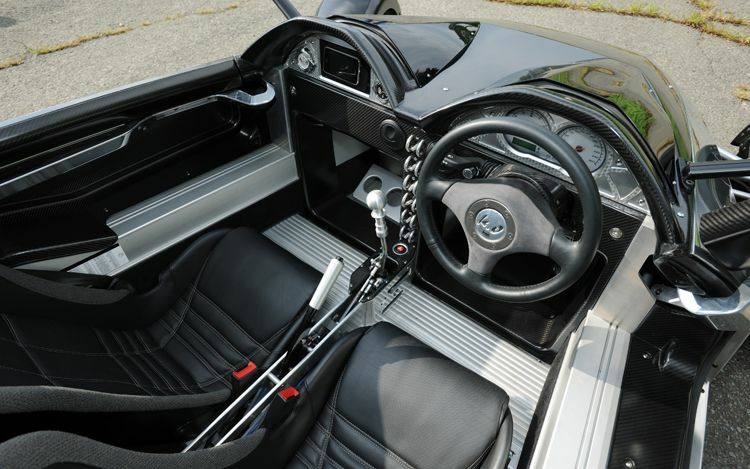 You may be aware of Ken Okuyama, a Japanese designer worked as Pininfarina's design director responsible for the Ferrari Enzo, Maserati Quattroporte, and Maserati Birdcage concept, but it is likely that you have not heard of the K.O 7. The K.O 7 is basically a roadster designed by Ken Okuyama himself, inspired by TAG Heuer watches, and it uses a Lotus Elise R platform and a Toyota engine. The 2ZZ-GE engine used has a 2.0L capacity and produces 210 hp, enabling the K.O7 to reach 60 mph in 5 seconds. The main materials used for the exterior are polished aluminium and carbon fibre. According to Okuyama, "we might be using a Lotus monocoque chassis, but we have pretty much redesigned the whole car". 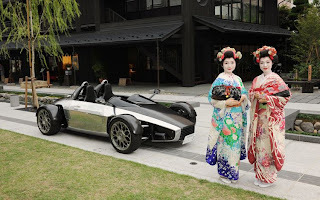 So, Motor Trend got the chance to interview Ken Okuyama and took also a K.O 7 out for a spin! The article doesn't say much, except from the fact that "the roadster turns in superbly with perfectly weighted steering, while the larger 17-inch Dunlop rubber delivers loads of grip under acceleration". For the future, a Cosworth engine is planned and even a Honda S2000 powertrain may be used. 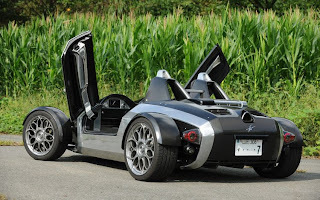 Also, a coupe version, the K.O 8 (see photos below) will be built. As for the price, it costs around 20,000,000 ¥. According to the article, Ken Okuyama is working also on a secret motorcycle project. Honda Civic Type R 1998 (EK9) scale model! Six new scale models arrived straight from Japan! New Infiniti G (Skyline) Coupe coming...! The new Nissan Tiida (Versa)... ?! Nissan GT-R (11MY) live photos from Japan...!!! GT-R spotted... I just love it! A wicked Skyline HR31 from Australia!!! 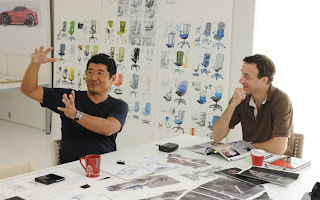 Gran Turismo 5 coming in November? Bad black Supra (セリカXX) A60! Subaru previews next-gen Impreza at LA!!! Unveiling of Nissan Murano CrossCabriolet!!! Nissan Ellure Concept Sedan just unveiled at LA! 11MY Nissan GT-R in LA! A spiced up Toyota iQ!